For someone with a track record like Vicki Zhao Wei's, it's so easy to look at any of her past works with great fondness. The actress-director shared a photo where she reunites with Chen Kun. 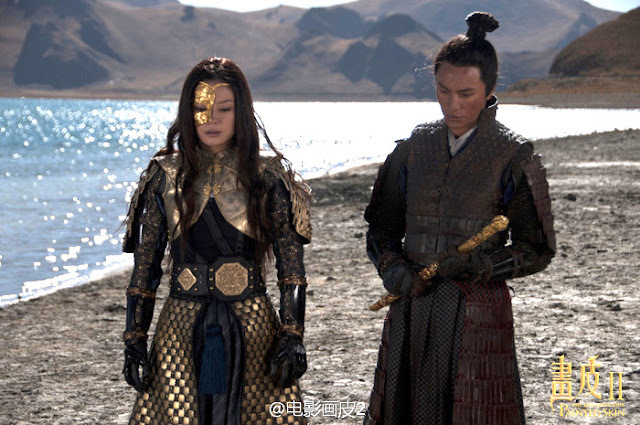 He was her co-star in 2008's Painted Skin, 2009's Mulan and 2012's Painted Skin 2: The Resurrection. She recently paid him a visit on set and wrote him a message on weibo, "...Growing up with you is the happiest thing, from college to the present, you haven't changed, still a kid. Add oil, Love." He comments, "Friendship is unbeatable." The history between the two actually date back further than their movies as they, along with Huang Xiaoming among others, were friends and classmates from the Beijing Film Academy Class of 1996. I think it just makes the reunion that much sweeter but apparently there's drama behind it too (I hadn't known, wasn't following c-ent at the time). Although they used to be good friends, it has long been rumored that Vicki Zhao and Chen Kun had a falling out and were no longer in good terms because of Zhou Xun who is close friends with Chen Kun even until now. It seems the picture would be the perfect way to show that all is fine but fans reacted negatively to it. Vicki has since deleted the post to replace it with a photo of just herself. Can I just be glad that we're getting updates from Vicki? She looks gorgeous after all these years. I like both pics. Why should her fans be cross of the photo of the pair together? So stupid. Get a life!! The fans are absolutely ridiculous! I hate that the artists keep giving in to their temper tantrums so the fans keep acting up like this! I was thrilled by the picture as I loved them and their chemistry in Mulan. 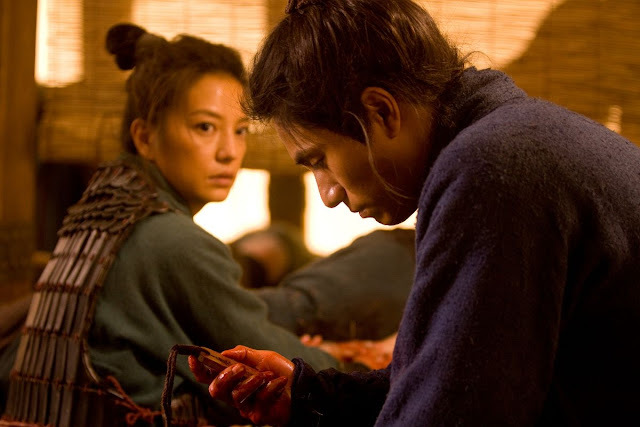 Looking forward to more films by Chen Kun. Such a talented actor! I honestly think she just deleted it because he was filming and in costume, and they probably wanted to keep it under wraps. Unfortunately, it's circulating around the internet already so no point in deleting it really.